Every 29.5 years, Saturn completes one full orbit around the sun, returning to the exact position it was suspended in when you were born. This astrological event is understood as a cosmic rite of passage, that manifests as a period of upheaval that hits in our late twenties. During our Saturn returns, the universe confronts us with brutal lessons, terrifying choices and a reconciliation with past mistakes — but also presents a juncture for growth. This lore is the language that NAO, who turned 30 last year, uses to frame the turbulence of her late 20's on her radiant new expedition, Saturn. The British singer-songwriter allows us to witness her most severe lows ("Make It Out Alive," "Another Lifetime"), dangerous passion ("Curiosity"), escapist self-destruction ("Drive and Disconnect"), and growth ("Yellow of the Sun," "A Life Like This"). Astrology emerges as a shape-shifting extended metaphor on Saturn that fibrously weaves together the tracks into one whole, sometimes used to illuminate the repetitive cycles of love, other times emphasizing the finality of an ending or star-bright possibility of a beginning. Her poetry feels easy however, rather than a forced attempt at a concept album. One poignant theme is more than artists can pull off, but NAO actually conjures a second on Saturn. She entwines her cosmic metaphors with vivid, earthy images of a dessert road narrative, in order to capture her desperate longing for freedom, the reckless adrenaline of parts of her Saturn returns, and her travels into a new phase of her life. 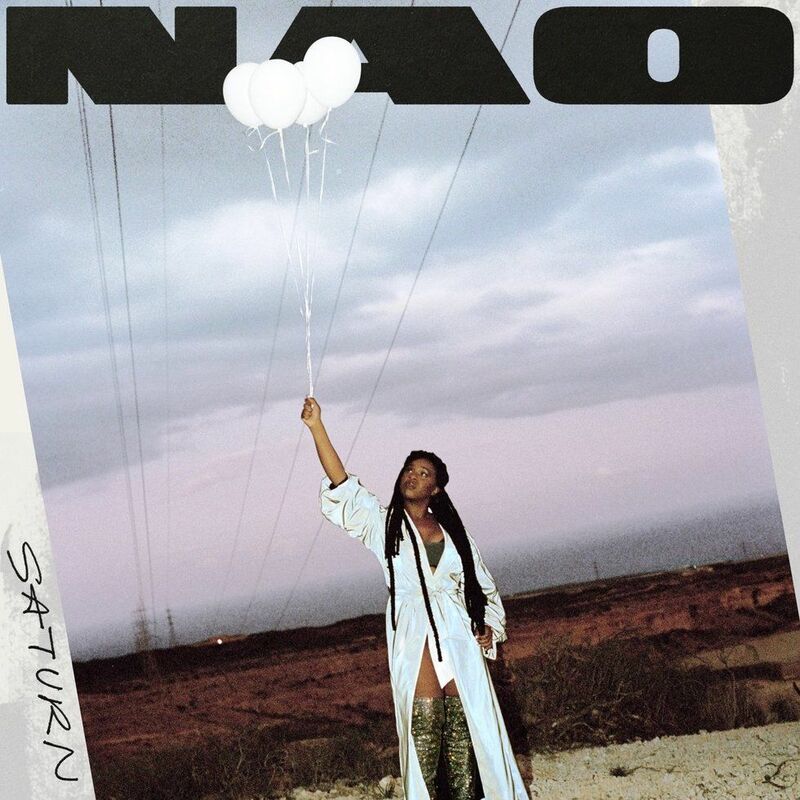 Merging these themes, the album cover features NAO on a dusky pink desert highway, eyes to the heavens and the future, holding a bouquet of planetary balloons. 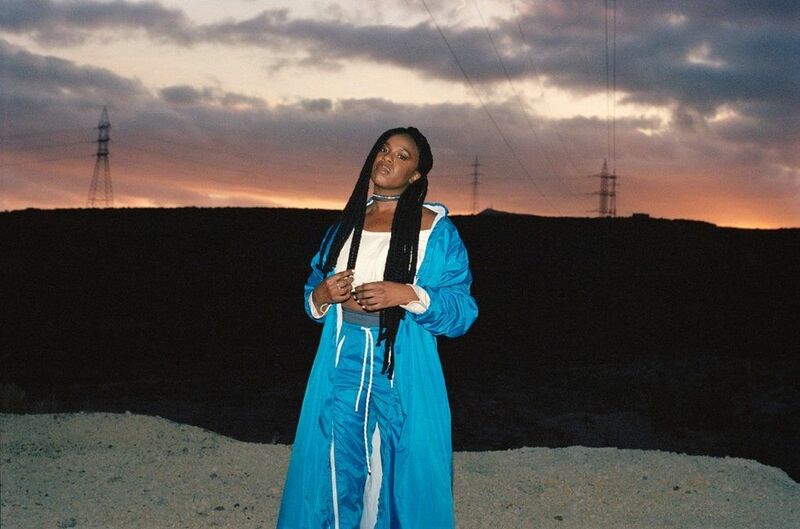 To execute her vision, NAO wrangles the bloody honesty of a sadgirl indie rocker, blunt-force Aretha soul, bouncy pop hooks, funk grooves, atmospheric electronics, and hip-hop accents (courtesy of collaborators like SiR) into a voluminous and futuristic sound — which is often reduced to simply [insert prefix]-R&B. It's not entirely incorrect. Her bops and ballads certainly share influences and a cultural space with other modern "R&B" pioneers like H.E.R., Ravyn Lenae and SZA. However, her expansive new-old influences, and marriage of corporeal vocals with creative electronic production makes it easy to see her listed next to indie experimenters like Blood Orange, Toro y Moi or Twin Shadow (although snobs might find it hard to see the connection underneath her pop elements) — or borderless electro-pop artists like her frequent collaborator Mura Masa. Not to mention her helium soprano is truly singular voice in music. NAO's futurism isn't the same as the cyborg beeps and boops of someone like SOPHIE, who creates all-new sounds using technology. Instead, it emerges in the way she fuses familiar musical ingredients in a vibrant hybrid — showing us that music doesn't need to forgo the past to feel radically fresh. PAPER caught up with NAO about growing up in London, the trials of her Saturn returns and the term "R&B." Tell me what growing up in London and your introduction to music was like. Music's always been a part of my life, since I was, well, as young as I can remember, basically. My family loved music more than PlayStation or television, that's what we grew up on. It was just a way we all communicated together growing up in this household with five kids. It was really hard for all of us to get along, but through music we communicated really well. I was the youngest and in hindsight, my family was the first real part of my musical education, having my brothers and sisters play so much. I would say that was the beginning of my musical journey. I discovered that I loved singing when I was young, at five I think. At the playground as a little girl, I remember singing and having my friend stop me and be like, "Oh my gosh, you're like, really good!" I was always shy, I was embarrassed. But I was in grammar school, and my friends would tell me, "Oh, you're a really good singer," but I never thought I was. It was when I was talking when my mum took me to a singing club, I think I realized that actually I did have a good voice. It was my first real experience singing in front of people. I've never heard anyone with a voice like yours. Have you? Was there anyone in particular when you were young who made you feel like "the way my voice sounds is good and powerful?" I think really old Motown singers, like Aretha Franklin, people that have like really high voices like me. There wasn't anyone around that I think I stuck with, but people from back in the Motown days. You went to school for music. What was the first moment that you realized music was going to be your career? I think it was when I was 17 or 18. I was studying law and making music at the same time, and I had to make a decision, whether I was going to pursue law or whether my music career was really going to come together. So I thought about it in terms of "if I was going to die, what would I want to die doing?" And the answer was singing. And that was it, that made me say "okay, I'm going to become a musician." I didn't know what was going to happen, but I knew music was going to be my life. I had no idea you studied law! [Laughs] Yeah, not for too long, but yeah, I studied law for two years. Saturn felt like an intensely personal album, but it also has a narrative so strong that it almost feels cinematic. Would you call it personal or were you telling a story you imagined? Yeah! Definitely. It's an album straight from myself, it's almost too personal I think. It's a statement of the last few years since For All We Know and what I've been through as a 20 year old. It's about me in my 20's, and what that has been like emotionally and as a journey, like becoming an adult woman as opposed to a young girl which I was before. It's been about that transition, and that's why it's called Saturn. Saturn is a planet that's all about transitions, and space, and the textbook or scientific idea of Saturn's return, which is the planet of constant cycles. Every 29 years it comes back around to the same place it was before. So it's like every 29 years something big happens, something life-changing that forces you to grow up. Even if you don't believe in astrology, I think we all go through that lull of 20's where we know that something needs to change whether it be our job, or with our our relationships, or if you're feeling really stuck, or you're not getting what you need, and something needs to change. I felt like the metaphor of Saturn was working a few different ways on the album. There's this Saturn as a destination, Saturn as a metaphor for cycles, and you also use it to explain how relationships work. Where did you discover Saturn as a concept and what was the process of weaving it into the album in so many ways? I already knew about Saturn's returns. I actually don't know how I knew, I just knew. I guess some friends had been thinking about it, had been going through tough times, and then were like "oh I'm in my Saturn returns," and I just took it from there. It's just a beautiful idea with so many layers. I guess in each song I'm exploring it in so many different ways, like "Another Lifetime" is at the beginning of the album and it's like the beginning of a journey, it's about a break-up, it's about shedding skin, it's about leaving my own home, and being ungrounded yet grounded as well at the same time, but not having a home to go back to, and it's about my best friends. And then "Make It Out Alive" and it's kind of like the drop in Saturn's rotation, it's about when it feels really bad like "Am I going to be able to get out of this? Am I going to make it out alive?" And then the whole album explores the journey from that moment onward, the goods, the bads, the highs, the lows, the freedom, the love — every different idea, every different ring I go through and as Saturn returns, I'm just explore it in every capacity that I can. Are you a spiritual person? Do you practice tarot or astrology? I'm a spiritual person, but I'm really open to everything. I was brought up in church, but it didn't really resonate with me in that sense. I just became really spiritual and took things from the general ideas [of religion] that kind of resonates with me. Personally, also with astrology, there's parts of it that I believe in, just because of balance, and how there's other planets, the stars and the moon. The moon can move the whole water system on this planet and it must have an effect on humans, you know? So, I'm open to everything to an extent but I'm not necessarily someone who reads their horoscope every week and live their life by it, you know? So it's just about whatever speaks to you. The album is such a full journey, it goes through every step of a struggle from vulnerability to joy and anger. Where does the story of the album leave you? That's a good question. I think for me right now, I feel like I'm still in my Saturn returns, like somehow it's not really over. I just finished an album and headed back on the road again and there's new people in new parts of my life. I feel like I still have so much to learn about myself and so much to share, and perhaps that'll be the second part of my Saturn returns — I don't know where it'll end up. Maybe there will be a Saturn II? I also felt like Saturn had such a strong road narrative to it. There was a lot about transit and a journey, especially with the album art in the desert — which is especially cool because women don't often get to be the authors of road narratives. The whole road narrative actually came from when I was on a plane to America, and I watched Thelma and Louise for the first time. I just remember really embarrassingly crying on the plane because I felt like I was in a bit of a bad place, and the film just encompassed hope for me even though the ending is very tragic. They just have this sense of freedom and hope — they didn't know where they were going to end up, they were just driving across America and it was such a beautiful landscape. For me it was just moving forward, the film symbolized moving forward and how life is surprising in how you don't know where you're going to end up next. I wanted to incorporate that into the visual aspects of the album, I wanted to keep pink skies and desert and that whole vibe with balloons to represent Saturn. It appears in the artwork, it appears in the music video. I wanted to show Saturn looming over me, I didn't want to do it in an astrology way with actually having a planet, so I decided to do balloons instead. What is your connection with Mura Masa? How did you first get connected and what is it like working together? We first got together doing a track on an album called Be Together, he produced it with me. We kind of came up in the same time in the SoundCloud world, and we ended up having the same manager. We were both bubbling up on SoundCloud, and things were happening, we were both friends, especially with Jai Paul who was really big at that time. He just hit me up with a tune called "Firefly." I just heard it on my bed, I was like "what's this?" And I just tried out something, you know, not really thinking it would be what it became, and we hadn't even met, like we hadn't even met face to face, we hadn't even got into the studio together, nothing. But we had this track out that was doing really big things! So eventually we met and we just really loved each other and we've been collaborating ever since! You're often called an R&B artist. There's kind of been discussion lately about the way that genre-defiant Black artists often get labelled as R&B even if they aren't really operating in that genre. Does that term make sense to you? In general, how do you feel about the labels applied to your music? I think that in the beginning I was uncomfortable with it, especially For All We Know and the EP that had came before that. Because I wasn't doing straight up R&B, there were so many other elements of it — there was electronic music in there, there really alternative sounds, there was funk in there. There are electronic and pop elements of R&B. And not everybody, but a lot of people in the industry just put me in the R&B bracket because I'm black, and they were like "oh, that's what it is." They weren't appreciating the finer aspects of it. I wouldn't call a band like Little Dragon R&B even though they have elements of that in it, but they've got electronic, they've got pop, they've got funk, they have all the things I have, but would never be called an R&B band. They get called everything! They get a wide range of words to describe their music, but for a Black artist like me it's just: R&B, they didn't even try to allow it to be broader than that. Yeah, it is annoying, and it is frustrating, but I kind of forgot about it after a while and just kind of made my peace. What artists are inspiring you right now, and who were the most important to you growing up? Artists that inspire me right now, hmm. Yeah, I'm just trying to go back to the album and think about like who I was thinking about. I love artists right now like Noname, I think she's just incredible and so authentic. I'm a massive fan of 6lack, his melodies are really relatable. I love Xavier Omar, I'm a massive fan of his, like H.E.R.There's so many people, like Daniel Caesar, he actually helped me write a track on my album as well. So I'm listening to loads of people, it's hard to pick a few. It feels like you'd have one, but the biggest people who influence me, like some of my favorite artists will always be old school, they will always be Stevie Wonder, it'll always be Donny Hathaway, it'll always be Nina Simone. Those are my core ingredients that I always go back to.